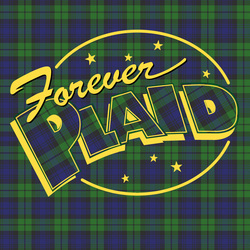 Forever Plaid is presented through special arrangement with Music Theatre International (MTI). One of the most popular and successful musicals across the country, this deliciously goofy revue centers on four young, eager male singers killed in a car crash in the 1950s on the way to their first big concert, and now miraculously revived for the posthumous chance to fulfill their dreams. Singing in the closets of harmony, the Plaids keep audiences rolling in the aisles while humming along to some of the great nostalgic pop hits of the 50s.